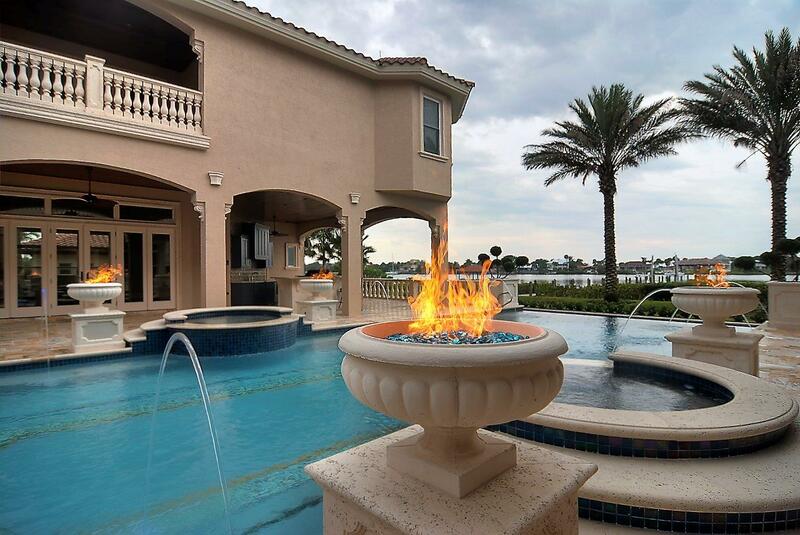 Connected Technology had the pleasure and opportunity to provide integration services for the largest private residence in Brevard county. At 24,000 square feet this home presented some unique challenges. 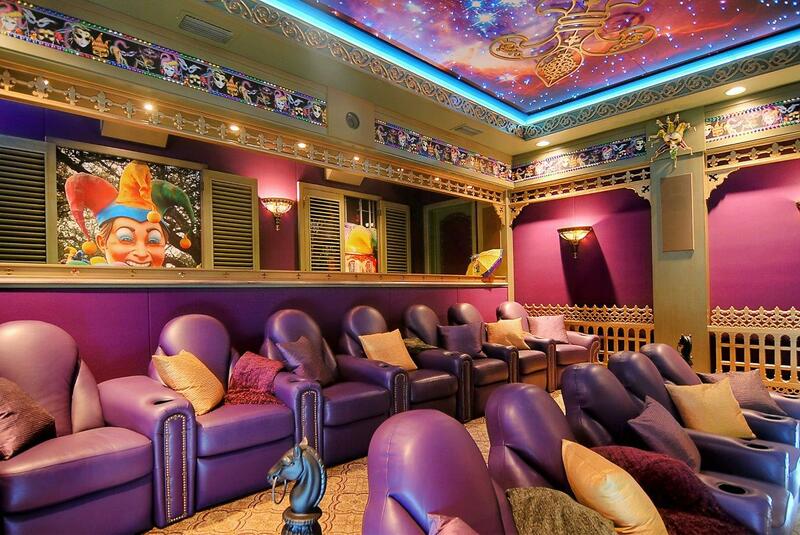 The owners wanted a world-class dedicated home theater with a Mardi Gras theme and full automation/reporting from the security, CCTV cameras, distributed audio, lighting control systems from any of the TV locations, strategically placed keypads, and/or smart device (smart phone, internet tablet, or computer). A perfect combination of entertainment and control. Special preparation went into the pre-wiring of the home to ensure seamless installation as well as simple upgrades. Attention to details from planning to completion is what sets Connected Technology apart from it's competition. This family should have many years of enjoyment from this system. 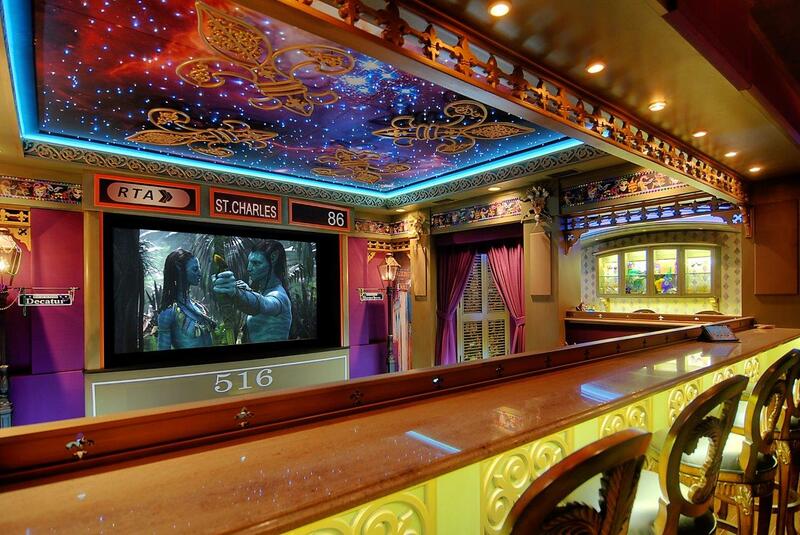 12 person dedicated Mardi Gras Home Theater. Hidden "Live Wall" speakers in the foyer ensure an immersive audio experience from the moment you walk in the door without ever being seen, plus over 70 in-ceiling and landscape speakers throughout the home. Easy to use remote capabilities with icons that make sense on the keypads and cell phones. 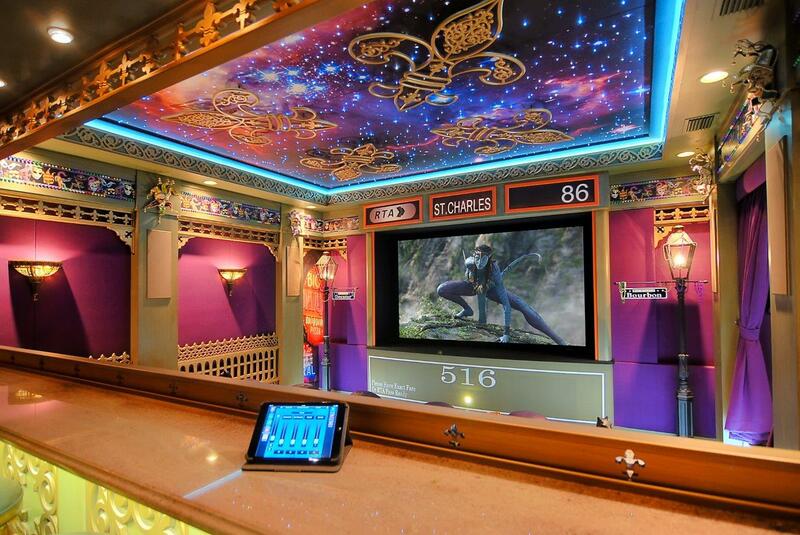 Whether it's the lights, motorized curtains, audio, or video - no engineering degree required! 2 complete Hide a Hose systems with 10 outlets means clean up help is never far away (or difficult).